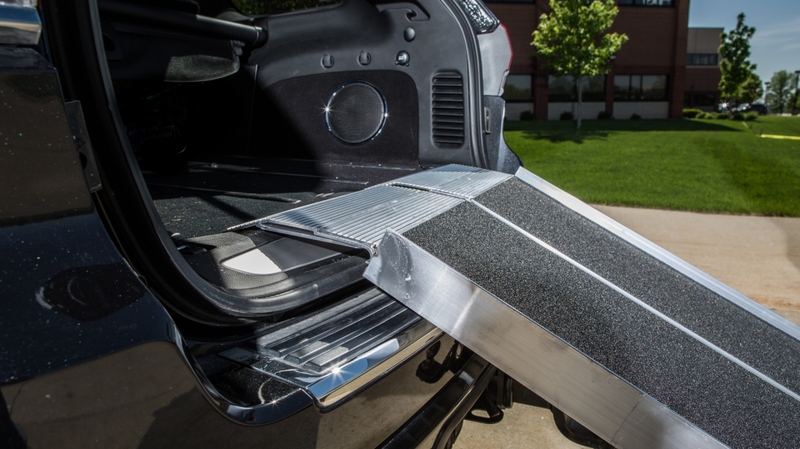 Ramp sizes: 8ft or 10ft. 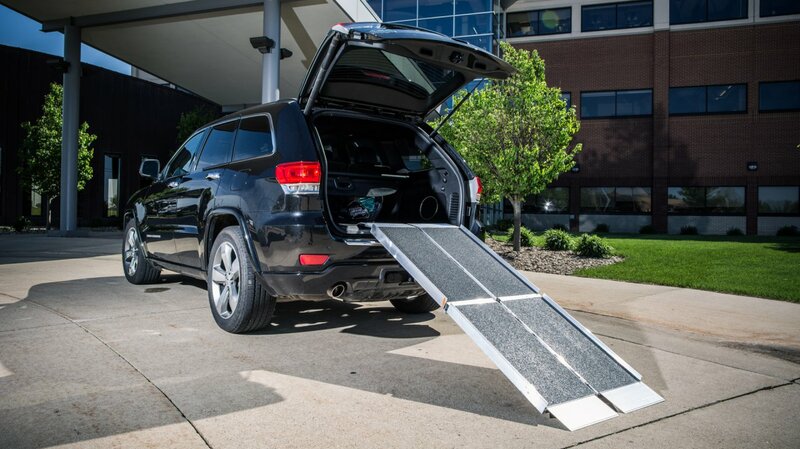 We always carry this item in stock for our customers to rent. 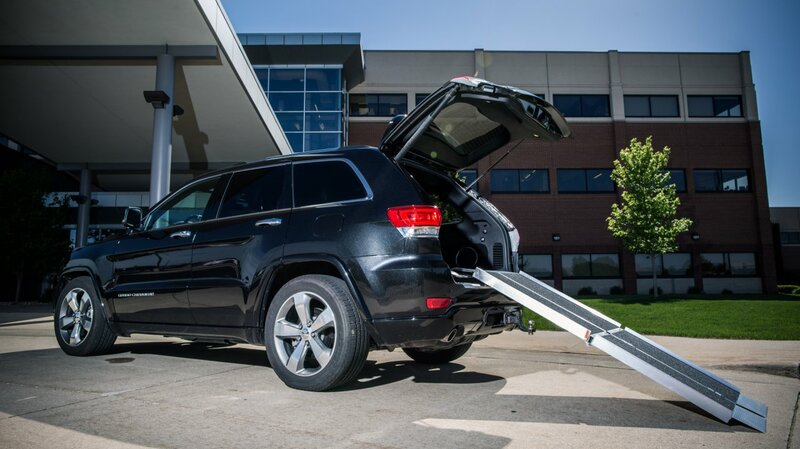 The rental equipment must be returned on the due date to one of our locations or picked up by one of our delivery drivers (fees apply). 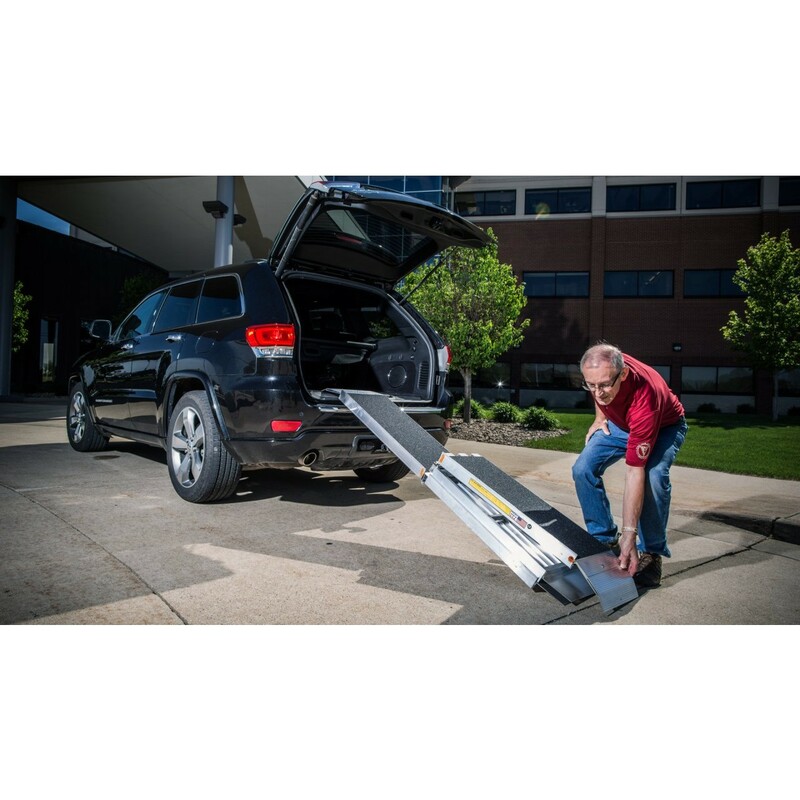 If you are unable to return the equipment on the due date your rental will be automatically extended by daily, weekly, or monthly depending on the lowest cost to the customer. 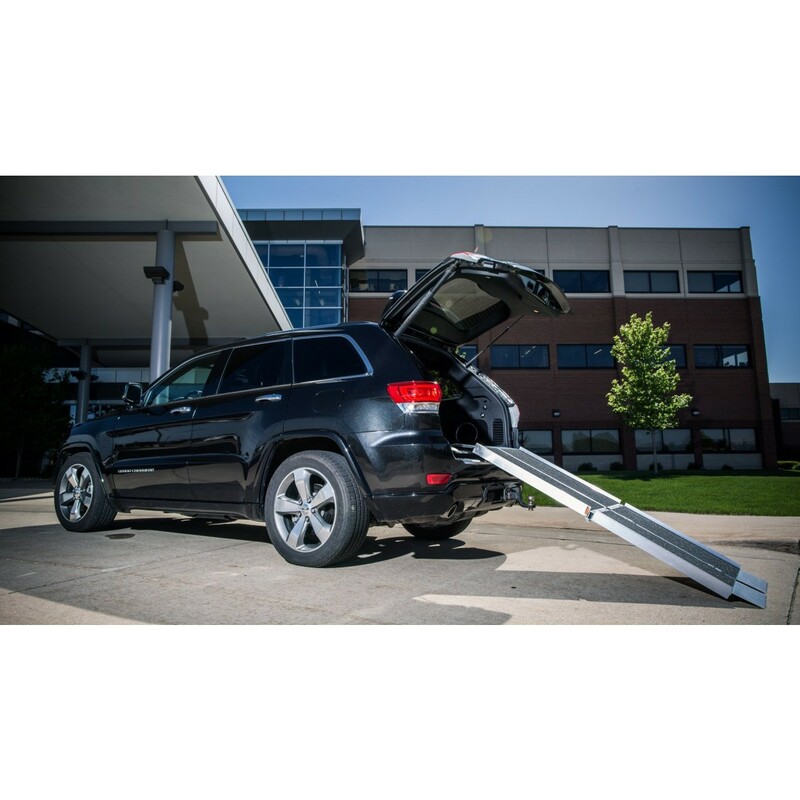 The SUITCASE® TRIFOLD® AS Ramp has a unique 3-fold design that allows for ultimate portability when longer ramp lengths are needed. 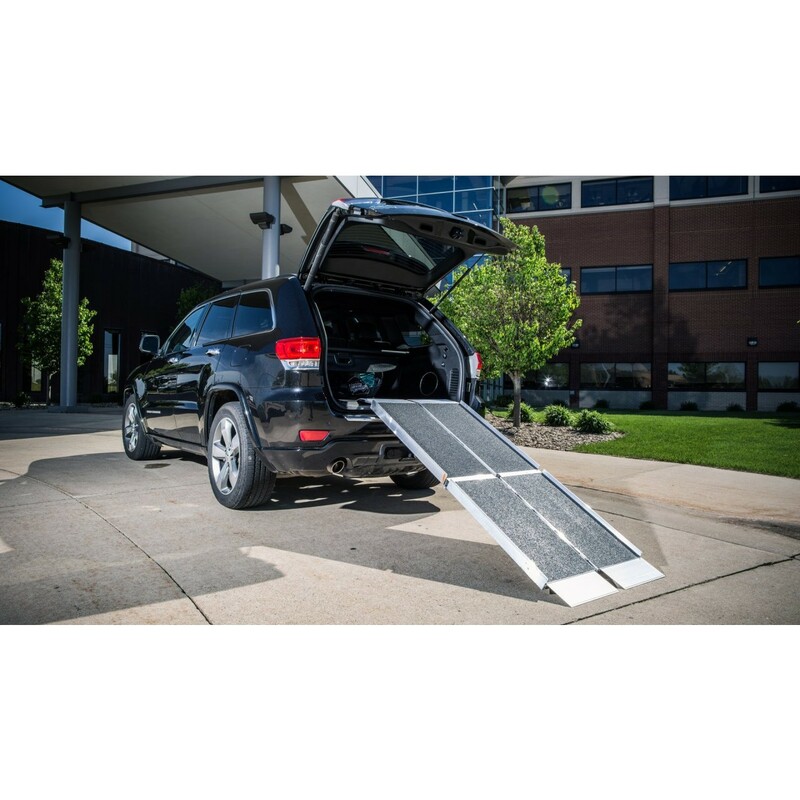 The ramp is designed to be used and carried as one unit, or can be quickly separated into two individual sections. 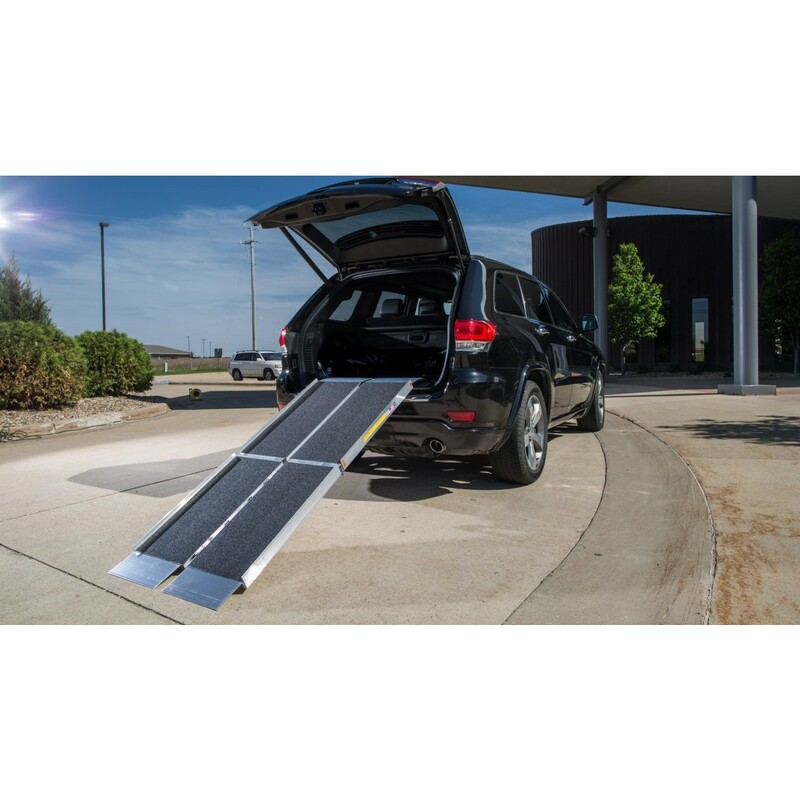 Offered in sizes ranging from 5 to 10 feet in length and is ideal for raised landings, steps, or larger vehicles. 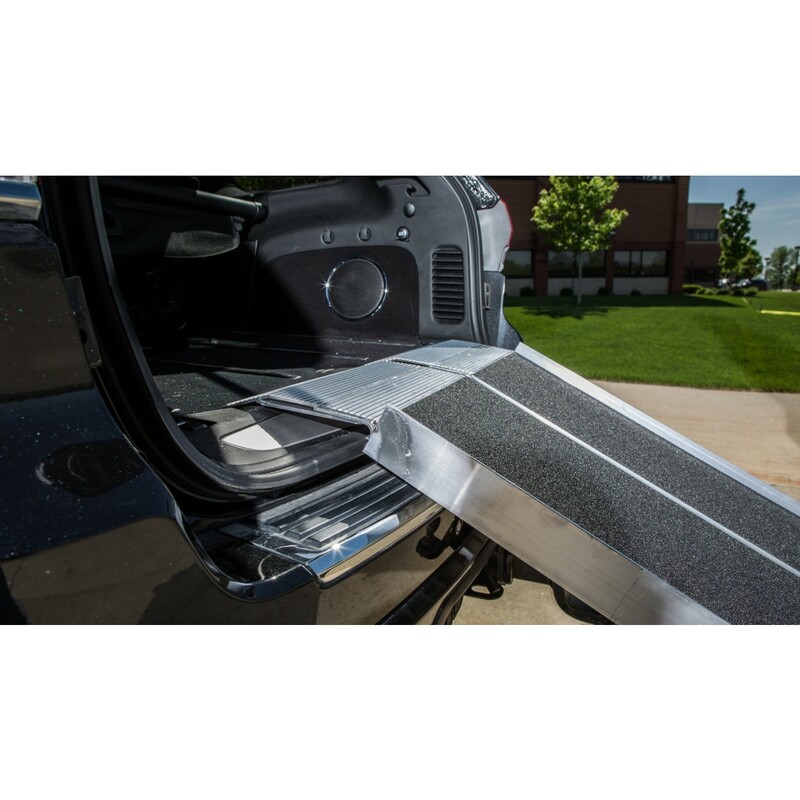 Made from aircraft-quality aluminum, this ramp features an applied, slip-resistant surface and self-adjusting bottom transition plates for easy conversion from ramp to ground. 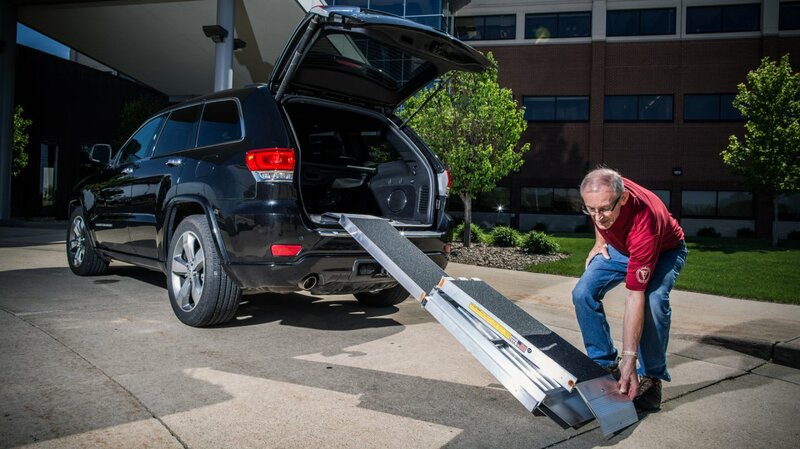 Explore the options, specifications, and features of the SUITCASE Trifold AS Ramp to see if it meets your needs for accessibility. 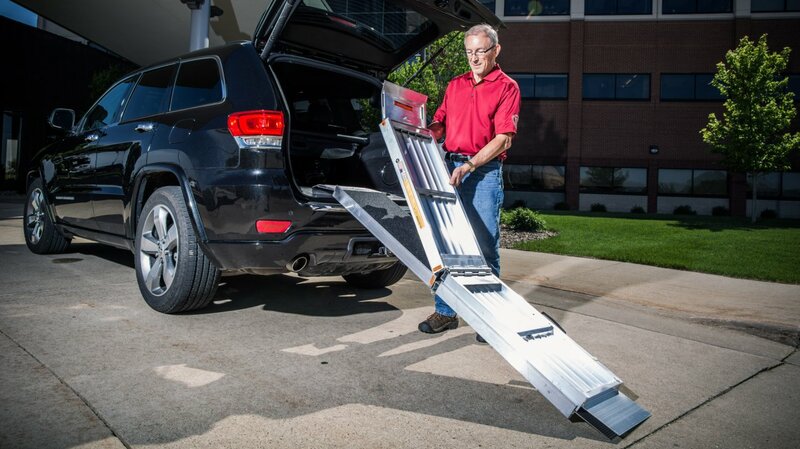 The unique 3-fold design of the SUITCASE Trifold AS Ramp makes it easy to set up and transport from place to place. 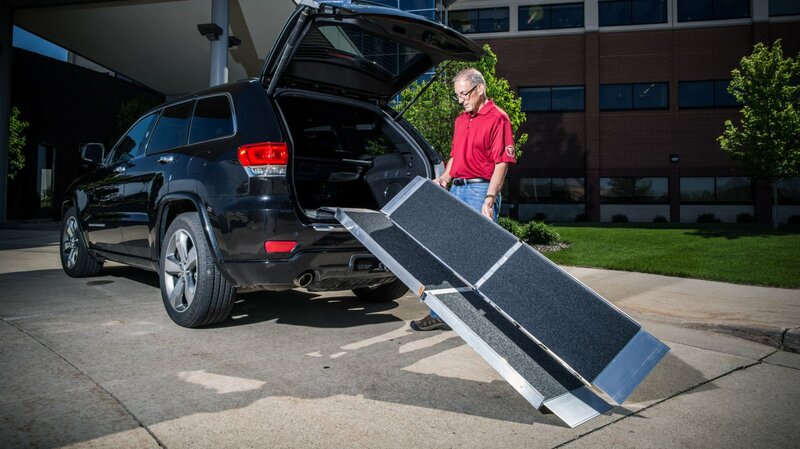 This portable ramp can separate into two easy-to-carry sections for easier transport and reduced handling weight. 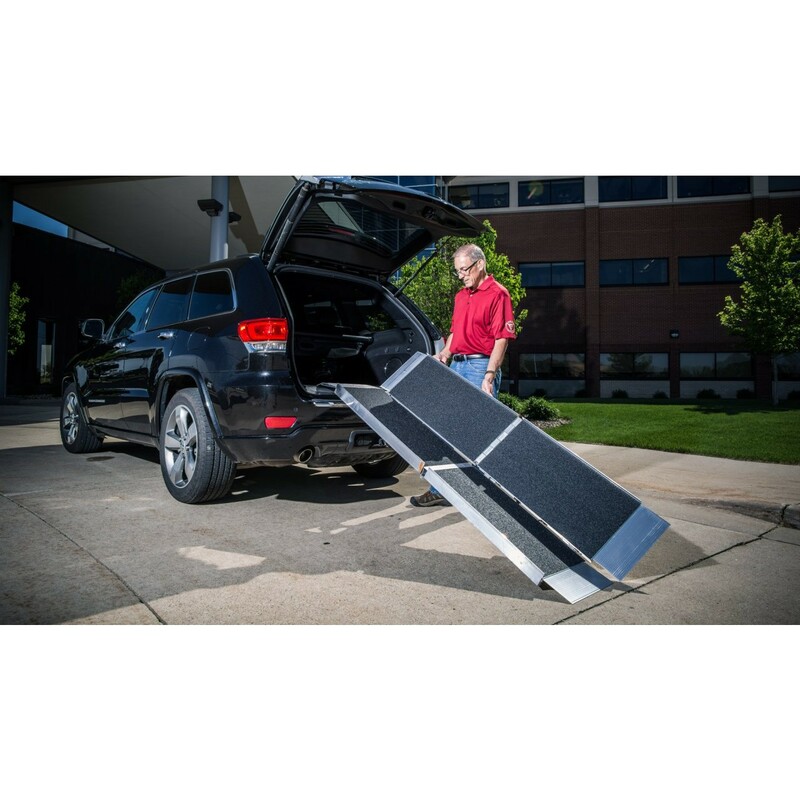 The SUITCASE Trifold AS Ramp offers an applied slip-resistant texture that allows mobility devices to retain traction in all weather conditions. 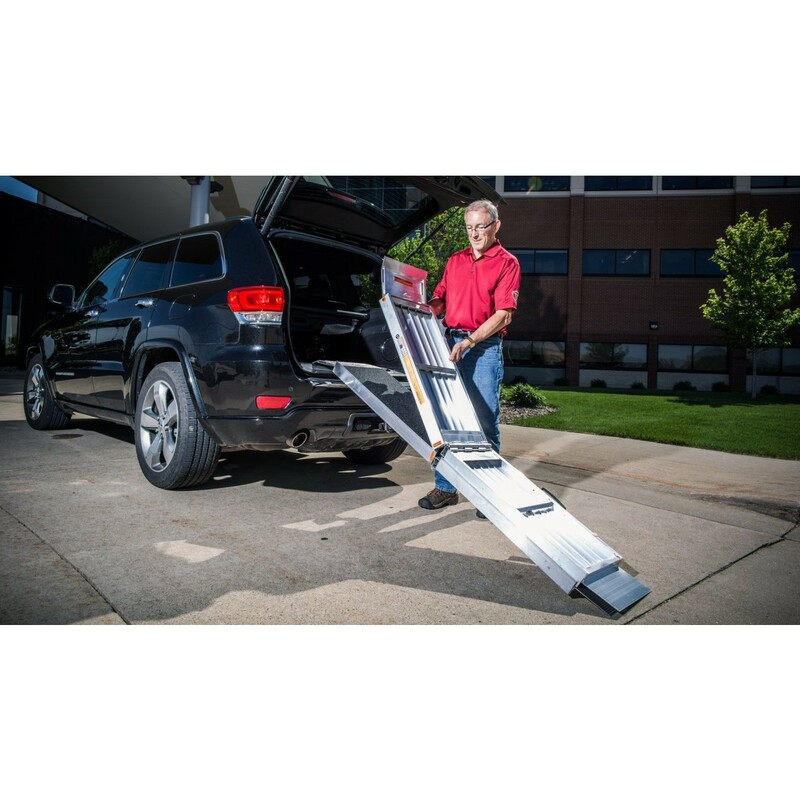 Features interlocking brackets to provide smoother operation and reduced pinch points. 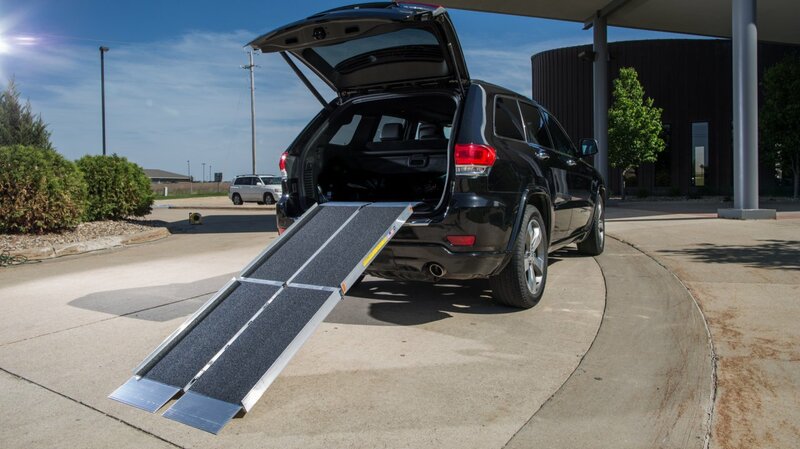 Independently adjust for easy conversion from ramp to ground. Made in the USA and carries a lifetime warranty. 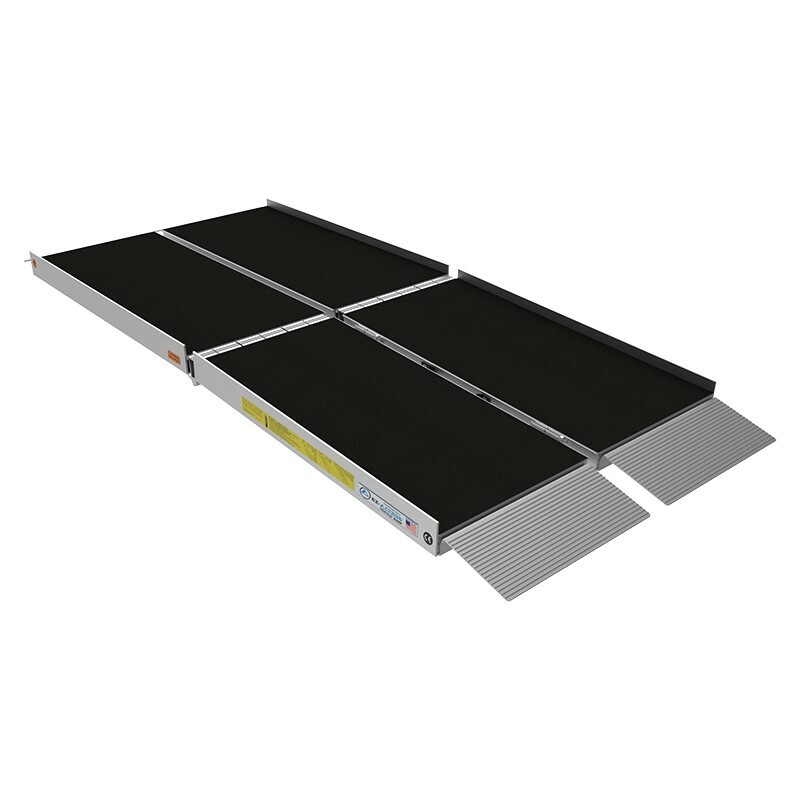 Folding Size (L x W x H) 48.75" x 15" x 11.5" 60.75" x 15" x 11.5"
Weight Capacity 800 lbs. 800 lbs.